UPDATE – 11 July 2011: According to Outlook Magazine, within a week of launch, The Immortals of Meluha hit the bestseller charts and within four months, it sold 45,000 copies! Last month, the total sales touched an astounding 125,000 copies (and these are only the legal sales… there are thousands of pirated copies being sold in the streets as well). These are mind-boggling stats for English fiction sales of the Action genre in India, that too by a débutante author. It was selling more than 600 copies a week at Crosswords alone. Probably 1000+ a week if we include Landmark. The background music has been composed by Taufiq Qureshi who is none other than the son of maestro Ustad Allahrakha & brother of tabla wizard Ustad Zakir Hussain! I find it is a sign that Indian writing in English in the thriller/action genre is being accepted by the mainstream. Salman Rushdie, V.S.Naipaul, Vikram Seth, Jhumpa Lahiri and now Aravind Adiga wrote a different kind of fiction. Chetan Bhagat and Shobaa De were pretty successful commercially in India too, but again, no one wrote a successful action thriller. 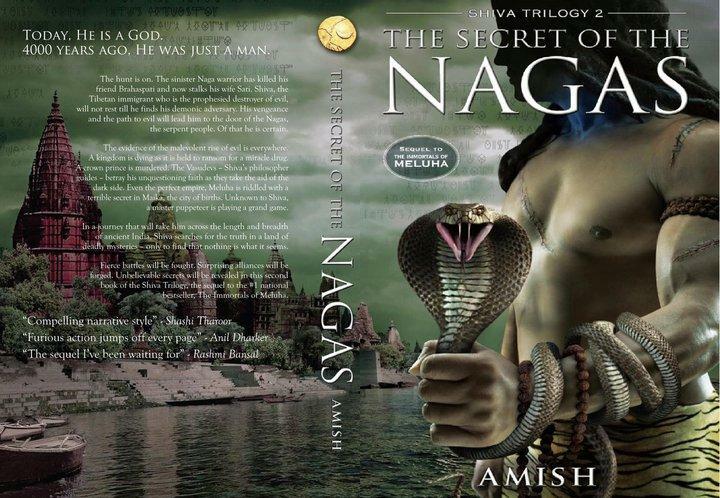 If the preview is anything to go by, this could be India’s first bestselling action trilogy. “The Immortals of Meluha”, the first part of what is known as The Shiva Trilogy will be available in bookstores like Landmark/Crosswords on Feb 28th. “The IMMORTALS OF MELUHA” is the first book in the Shiva trilogy. It is set in 1900 BC, in what the modern Indians mistakenly call the Indus Valley Civilization. The inhabitants of that period called it the land of Meluha – a near perfect empire created many centuries earlier by Lord Ram, one of the greatest monarchs that ever lived. Clarke’s First Law: When a distinguished but elderly scientist says that something is possible, he is almost certainly right. When he says it is impossible, he is very probably wrong. Clarke’s Second Law: The only way to find the limits of the possible is by going beyond them to the impossible. Clarke’s Third (and most quoted) Law: Any sufficiently advanced technology is indistinguishable from magic.